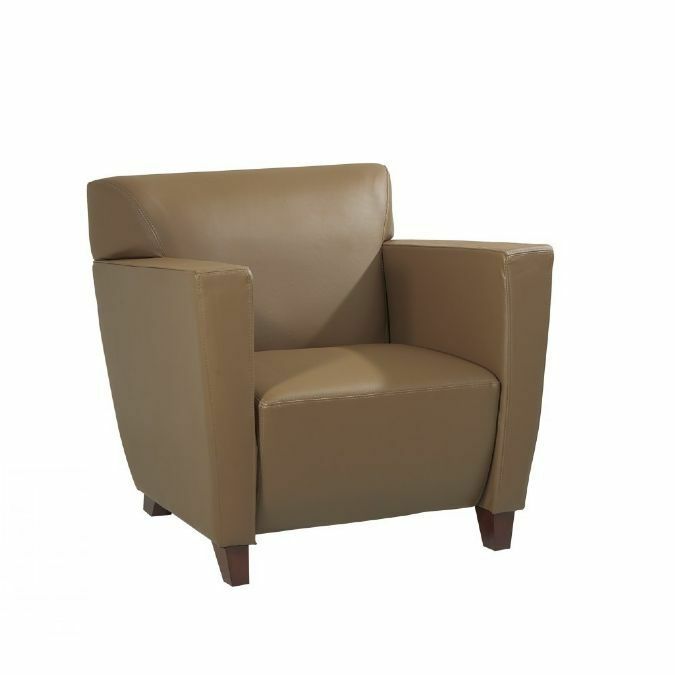 Taupe Leather Club Chair with Cherry Finish Legs. Meets ANSI/BIFMA Standards. 300 lb. Weight Limit. This version of this Chair is shown and priced with Taupe Leather with Cherry Finish Legs. 5 years on structural integrity of chair frame. 3 Years on upholstery fabric and foam against wear and deterioration (except leather). We can not warrant leather against routine scratching and scuffing, as all leather is subject to minor blemishes in normal use. All warranties are limited to the original purchaser for normal commercial usage defined as a standard forty hour work week by persons weighing 250 lbs. or less. When usage is more than 40 hours per week, a two year warranty on all parts applies. Fabric is warranted for one year. This warranty gives you specific legal rights, and you may also have other rights which vary from state to state.